Atlanta Convention & Visitors Bureau (ACVB) nets industry honors in customer service, digital marketing and public relations, capping off an eventful twelve months during which time Atlanta welcomed more than $1.5 billion in new development. Customer Service: Readers of meetings publications recognized Atlanta for outstanding service. For more than two decades, planners have recognized ACVB for setting the gold standard for CVBs. This year was no different, with ACVB earning accolades from readers of top meetings publications. Cvent ranked Atlanta No. 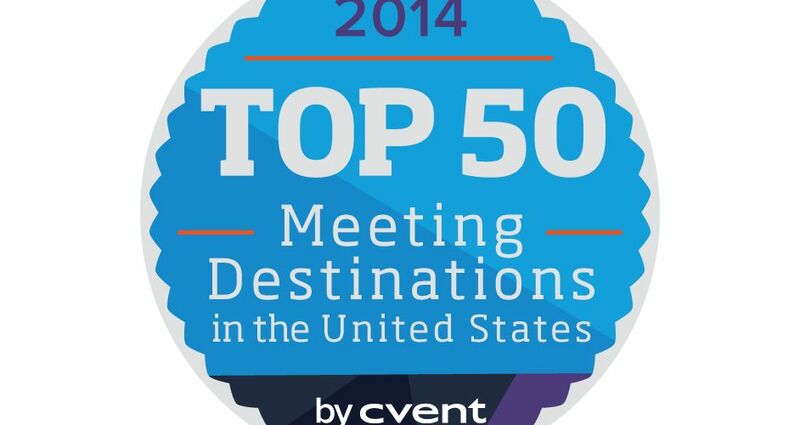 4 on its 2014 list of the Top 50 Cities for Meetings and Events. Cvent developed the ranking based on meeting and event booking activity in the Cvent Supplier Network. For the 23rd consecutive year, Successful Meetings honored ACVB with the Pinnacle Award. Meeting planners selected ACVB for outstanding meeting, trade show and convention services. Meetings & Conventions magazine honored ACVB for the 22nd consecutive year with the Gold Service Award for exceptional professionalism and dedicated service to planners. ACVB received the Smart Meetings magazine Platinum Choice Award for the fourth consecutive year. The award recognized Atlanta, among CVBs throughout North America, for dedication to providing the highest standard of client service. Digital Marketing: ACVB’s marketing team re-launched Atlanta.net, a primary resource for Atlanta travel information. The new website features venue and event listings, articles, videos and more. The Atlanta.net redesign, executed by ACVB and its agency of record, USDM, won Outstanding Achievement in Web Development. Created by the Web Marketing Association, the WebAward Competition is the longest-running website award competition dedicated to setting the standard for web development. Public Relations: ACVB’s public relations team executed a comprehensive media relations and communications plan that leveraged Atlanta’s $1.5 billion in new hospitality product.